At GROB, you will find decades of experience and expertise coupled with an unwavering passion for progress and innovative technologies. We work with our customers to develop the right solutions for their needs. Discover GROB's outstanding product range and benefit from a reliable and efficient production facility. Your specialist in the system business: Rely on GROB's know-how and experience for your flexible manufacturing line. 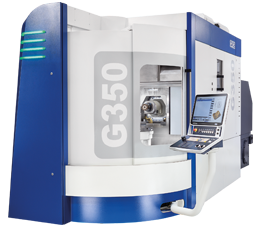 For optimized part machining: Harness the benefits of the unique machine concept behind GROB universal machining centers. A reliable concept for optimum results: GROB’s customer-specific assembly systems are the ideal solution for challenging tasks. Leading edge through expertise and innovative technologies: GROB is the right partner for the series production of your hybrid and electric drives. From partially to fully automated: GROB’s highly flexible automation solutions are adapted to suit your requirements down to the finest detail. Perfectly networked and digitalized: GROB-NET4Industry digital applications ensure cross-plant transparency in your production process.